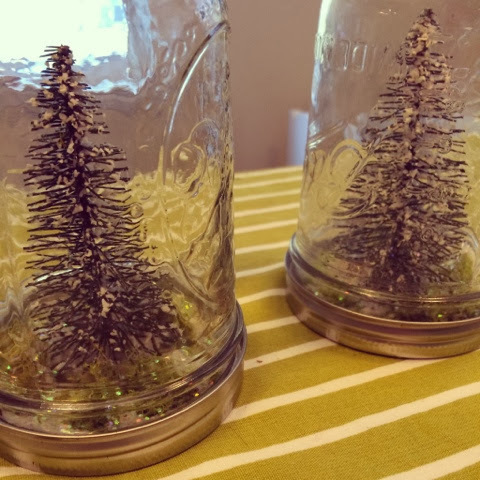 Here is a unique craft that with a couple of inexpensive purchases (hello, dollar store!) you can have a festive decoration for your table, mantle or bookcase. It's a snow globe without any messy liquids to deal with. So here's the deal. 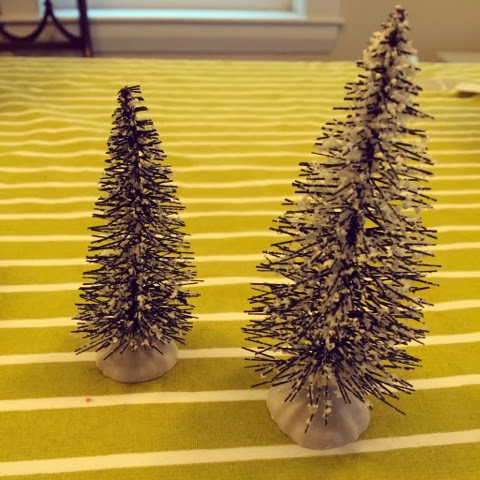 You need to find a couple of bottle brush style trees from either the Dollar store or Michaels. 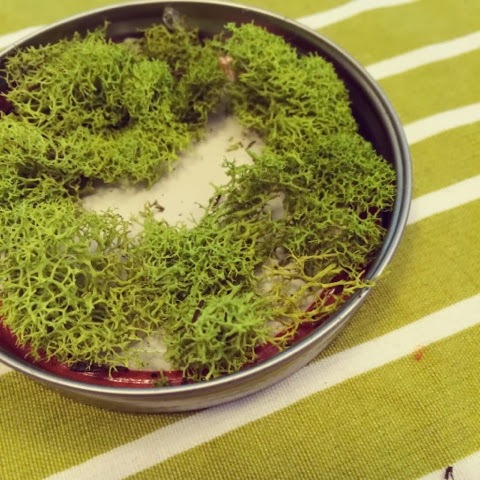 On the inside of the lid I hot glued some store bought moss. 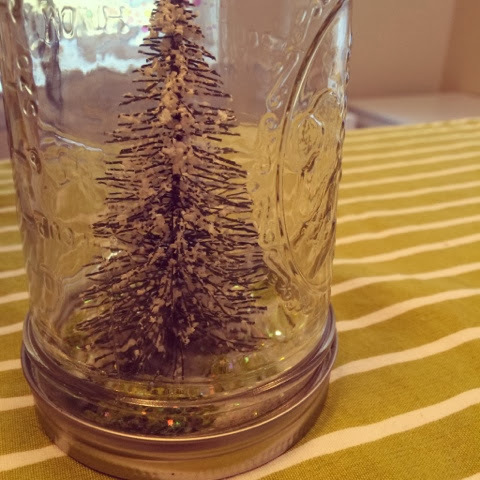 You could skip this step and just use glitter or faux snow. 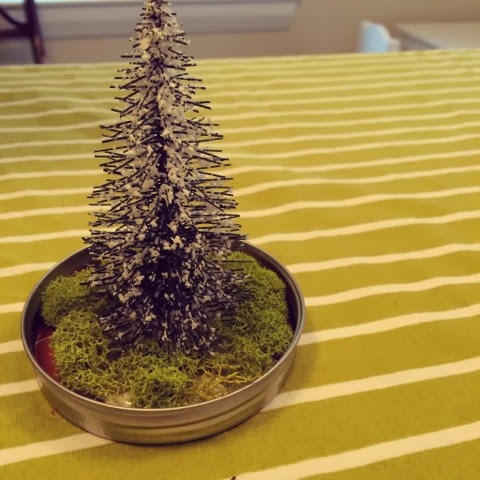 Next, hot glue you tree onto the top as well. Bring on the glitter! 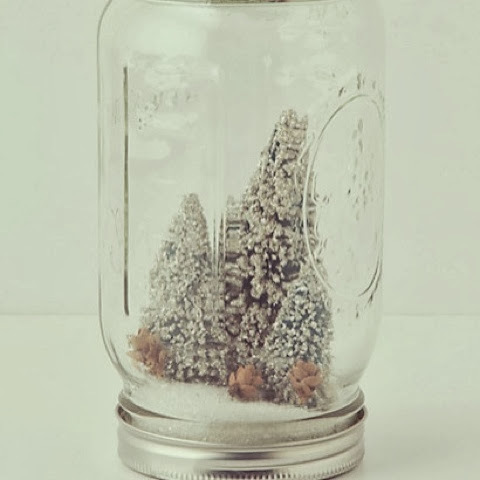 Now you could use glitter or faux snow or even cotton balls to get the snowy affect. 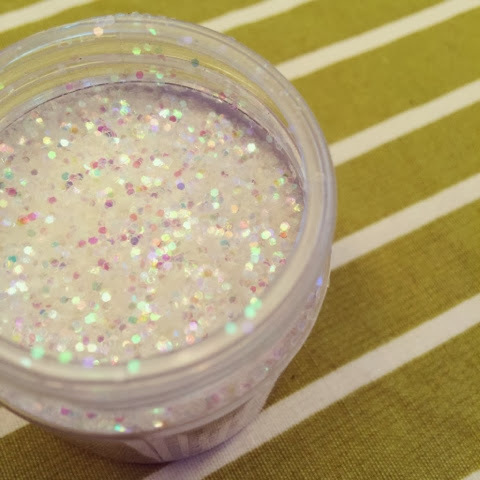 Pour a generous amount of glitter in the bottom of the jar. Then twist the top on. And give it shake. While the glitter does not stay suspended it does get stuck on the tree and add a bit of sparkle to the tree. And tada! 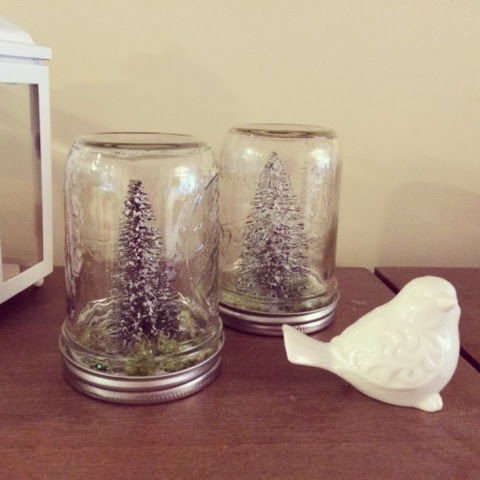 Revel in your crafty wonder for the holidays!